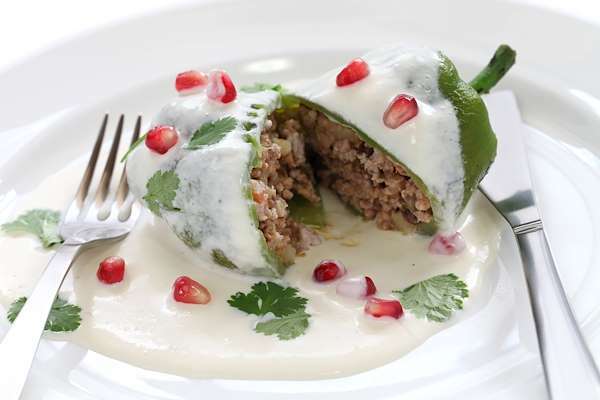 Mexican cuisine is not only renowned for its spicy dishes, but also their innovative blend of sweet & savory flavor. For a simple & elegant appetizer, consider these delicious crostini. Slice a baguette into thin crostini and toast them until golden brown. The tasty topping features avocado, feta cheese, tangy pomegranate seeds, and fresh chives. For a sweet finish, drizzle the crostini with honey before serving. This Mexican-inspired dish is as beautiful as is it is delicious! My version includes fire-roasted poblano chiles stuffed with a savory ground pork filling and then deep fried to golden perfection. 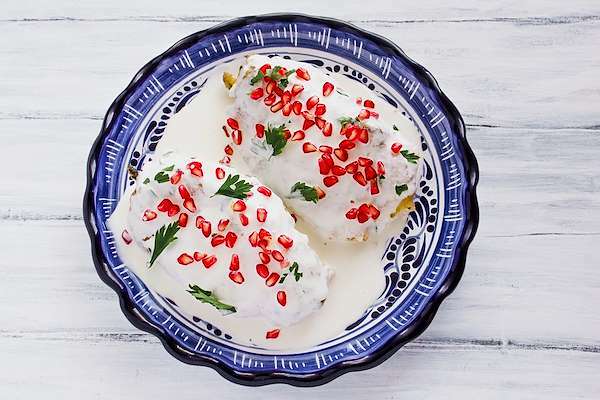 Drizzle them with the creamy walnut sauce and top with tangy pomegranate seeds. This colorful salad is a healthy arrangement of orange and ruby red grapefruit slices. 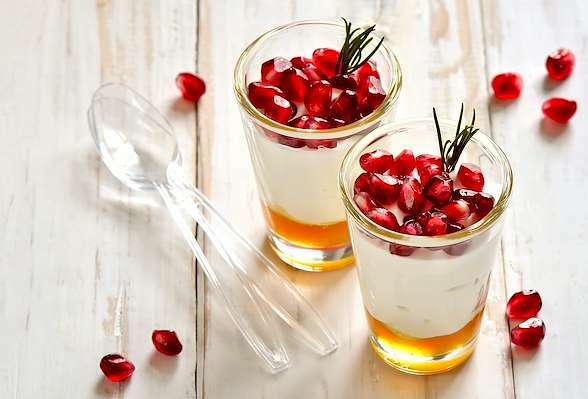 Top the citrus slices with tangy pomegranate seeds a simple dressing of honey kissed with orange flower water. Here are the sweet & tangy flavors of summer you love! This lovely dessert is the perfect finale to a delicious meal. The tangy-sweet pomegranate sauce blends naturally with the decadently sweet vanilla pudding. To save time, you can also make these chilly treats up to 8 hours ahead. When the French want a refreshing cocktail, they often whip up this classic beer cocktail. 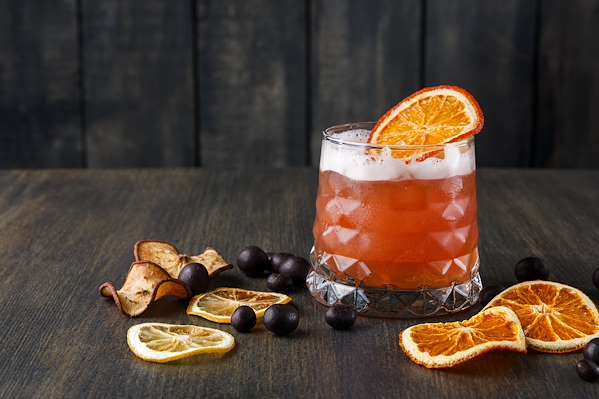 It has flavor notes of tangy pomegranate juice and fresh lemon with the sweetness of simple syrup. Add the hoppy goodness of a pale lager and you have a delightful drink that will please a crowd. Here is a quick & tasty sauce you can whip up to complement a Spanish-inspired meat dish or use it as a fun dip. I have also used it as a salad dressing and even as a topping for baked potatoes. See where this flavorful sauce will take your imagination! To create authentic, delicious stuffed Pablano chilies, prepare a batch of this flavorful stuffing. The Mexican-inspired recipe is loaded with tender pork, sweet fruit and savory herbs & spices. It is perfect for stuffed chilies or an upscale taco filling.